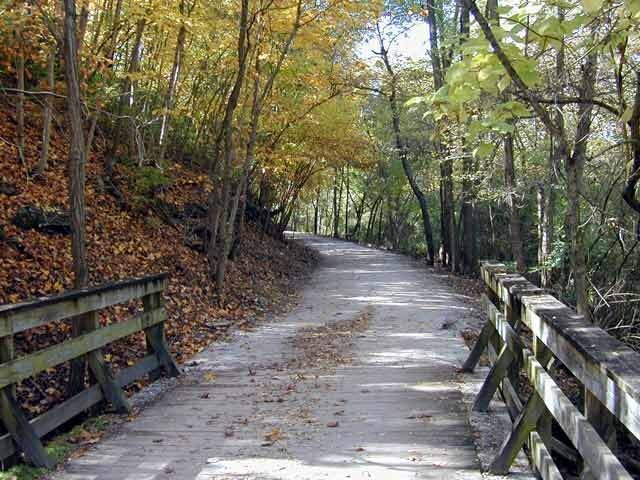 This trail takes you right to the heart of the University of Missouri in Columbia, by way of wetlands and wooded areas. There is a lake about two miles from the Katy Trail. The MKT Trail connects with the Katy Trail about 1/4 mile west of McBaine.